Brilliant tone and extended life! 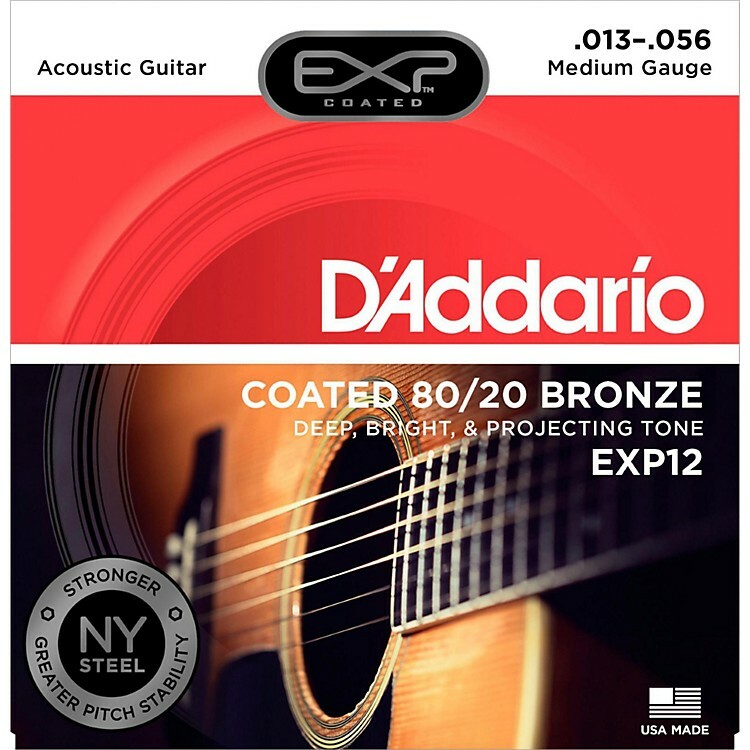 EXP12 Coated strings provide longer life and increased durability coupled with the brightness, clarity and sensitivity you've come to expect from D'Addario acoustic guitar strings. An ultrafine layer of EXP coating is bonded to the phosphor bronze wrap wire which is then wound onto the hex-shaped core wire. The result is a built-in barrier against the corrosion and wear that can quickly sap the life out of your strings and your sound. And since the EXP coating is cross-linked to the wrap wire prior to winding, the strings sound fresh and bright. New-string tone lasts 3 to 4 times longer than traditional guitar strings. D'Addario is the world's largest manufacturer of strings for musical instruments. Many top guitarists won't play any other brand. Regardless of your playing style, D'Addario has a set that's right for you. Audition a set now and save!